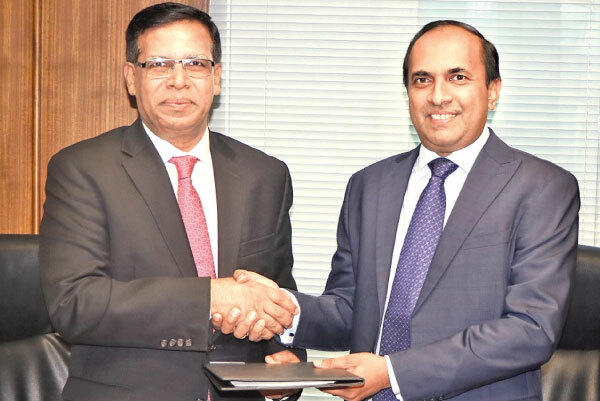 The Colombo Stock Exchange (CSE) and the Dhaka Stock Exchange (DSE) jointly announce the signing of a Memorandum of Understanding (MoU) to formalize collaborative efforts directed at mutual development. The MoU will pave the way for a greater level of information exchange between the two stock exchanges and will focus on product development, capacity building and the joint promotion of capital raising efforts both in Bangladesh and Sri Lanka. The MoU is also set to contribute towards enhancing economic and business relations between Sri Lanka and Bangladesh and further enhance efforts towards capital market integration in the South Asian region. Commenting on the development, the Chief Executive Officer of CSE, Rajeeva Bandaranaike stated “We are pleased to formalize our efforts of cooperation with DSE through this MoU. We have in recent years made a considerable effort towards collaborating with our peer exchanges in Asia, and particularly the South Asian region. As capital flows and capital markets at-large become more globalized, South Asia has the potential to emerge as a new center of economic strength. Cooperation of our capital markets would play a pivotal role in achieving this. We look forward to closely working with DSE for the benefit of our capital markets. Managing Director of DSE K.A.M. Majedur Rahman stated, “Dhaka Stock Exchange Limited is the premier bourse of Bangladesh with a cutting-edge trading technology from Nasdaq, FlexTrade and Trapets and provides a suitable trading platform for the investors in home and abroad. A number of leading global institutions have already joined DSE to work together to take it to the next level of development. Last year, the consortium of Shenzhen Stock Exchange and Shanghai Stock Exchange joined as our strategic investors. This MoU between DSE and CSE will further cement our ongoing cooperative endeavors to give both the exchanges the necessary leverage to play a leading role in the South Asian region”.